But only in Australia. Do'h! 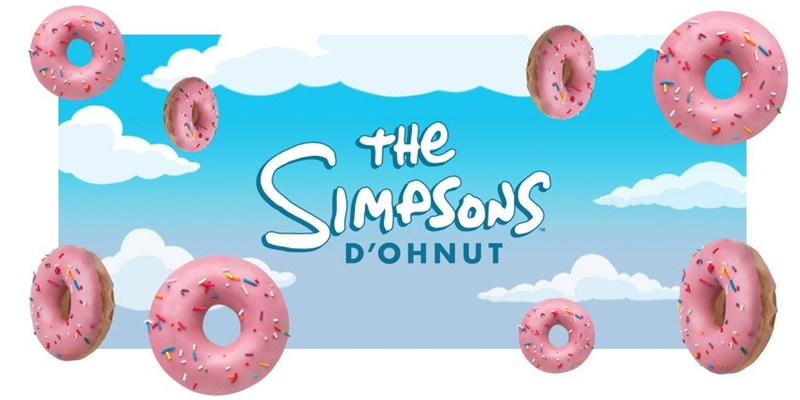 Homer Simpson is practically synonymous with doughnuts—and now Krispy Kreme is finally honoring that 29-year legacy by teaming up with the creators of The Simpsons to launch a pastry in his honor. Aptly titled “The D’ohnut,” it draws its name from one of Homer’s most enduring catch phrases. Its appearance—pink glazed with rainbow sprinkles—likewise comes straight out of the long-running TV series. Indeed, it looks like a nearly perfect real-life recreation of the treat that regularly drives Homer into groaning ecstasy. Alas, with a white chocolate truffle strawberry flavored icing, The D’ohnut is only available in Australia, and even there it’s only temporary. It will be available at Krispy Kreme and 7-Eleven locations in New South Wales, Queensland, Victoria and Western Australia until April 30. It comes in delightfully playful packaging—Homer grins oafishly, swimming a Scrooge-McDuck-style backstroke in a sea of D’ohnuts, as his eyes roll back towards blue skies. It’s also such a blatantly commercial extension of a beloved pop culture character that it can’t but evoke its opposite—Bill Waterson’s famous aversion to licensing Calvin & Hobbes (Imagine if General Mills started producing Chocolate Frosted Sugar Bombs). At the same time, The D’ohnut is also deftly tailored to the current zeitgeist—entertaining consumers with a sweet and colorful Instagram-friendly pun-as-product, perfectly designed to tickle millennial childhood nostalgia with mouthwatering images of food. In other words, hopefully it comes to the United States soon. For now, American consumers will have to settle for Saucony’s Dunkin’ Donuts themed running shoes—though there are only 2,000 pairs of those, and they’re probably not as much fun to eat.